Cookistry: Frozen wine - yes or no? 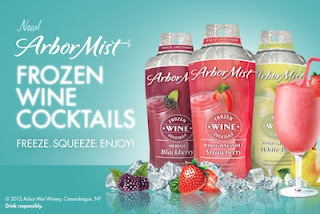 I was sent some samples of the new Arbor Mist Frozen Wine Cocktails. Sweet! No, really, they're pretty sweet. I tried three different flavors, Blackberry Merlot, Strawberry White Zinfandel, and White Pear Pinot Grigio. They come in pouches that you're supposed to freeze for 5 hours, then you massage the pouch ad squeeze into a glass. When I tried that, my drink was a lot more like a granita, which I guess isn't a bad thing, but it wasn't really sippable. I had better success when I let the pouch thaw for a while before I massaged and squeezed into a glass. Maybe my freezer's too cold. Flavor-wise, they were sweet. Yeah, I said that before. The ingredients list wine, water, high fructose corn syrup and natural flavors, among other things. That explains the sweetness, I guess. The Merlot Blackberry tasted like a sweet red fruity wine drink. Sort of like a sangria, I guess, but sweeter, with less citrus. The Pinot Grigio White Pear has a discernible pear flavor as well as a white wine flavor. That was my favorite, but I tend to prefer white wines over reds in general. The White Zinfandel Strawberry reminded me of a Jolly Rancher candy for some reason. This is probably not what you want to serve your wine-snob friend, but I could imagine a whole bunch of these in a cooler next to the beers at a barbecue or some other casual gathering. And for sure, they seem like a summer drink rather than a winter one. 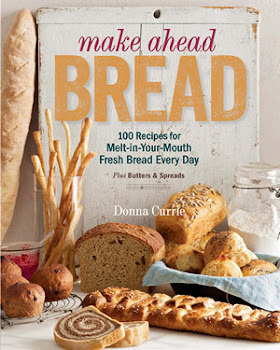 I'm thinking this could be used as a dessert if you served it as a granita. So ... what do you think? Are you going to try them? This post was sponsored by SheSpeaks.